In the automotive market that is the United Kingdom, where new vehicle sales totalled 335,246 in September 2010, sales of the BMW 1-Series reached 5896. 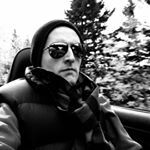 Follow me here: in the United States of America, where new vehicle sales totalled 959,049 in September 2010, BMW 1-Series sales reached 1155. In other words, the market with triple the sales had just one-fifth the 1-Series sales. You find this interesting? Of course you do, that’s why you’re staring at Graphs which tell the story of America’s small luxury automotive Sales Stats for one specific month in 2010. The relative affinity Brits hold for the 1-Series has nothing to do with the hatred Americans have for BMW. No way. The United States looooves BMW. The iconic 3-Series, one size up from the 1-Series in BMW’s showroom, is America’s best-selling luxury car. In fact, somewhat successful direct competitors of the 3-Series fall way behind the popular BMW in overall sales. 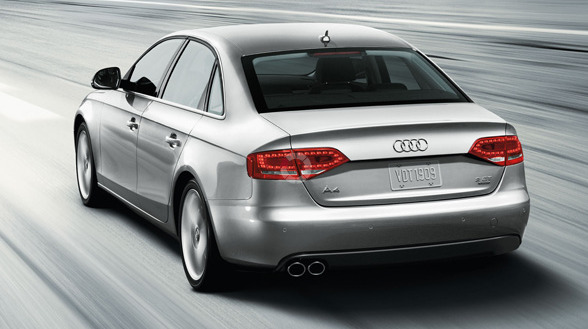 Take, for instance, the 2011 Audi A4, now on sale. You see lots of them around, right? The A4 is known to be a good car. In fact, The Good Car Guy even placed the A4 Avant in 2009’s The Good 12 v2.0. And the A4 Avant’s Teak Brown Metallic paint was profiled here a few days ago. 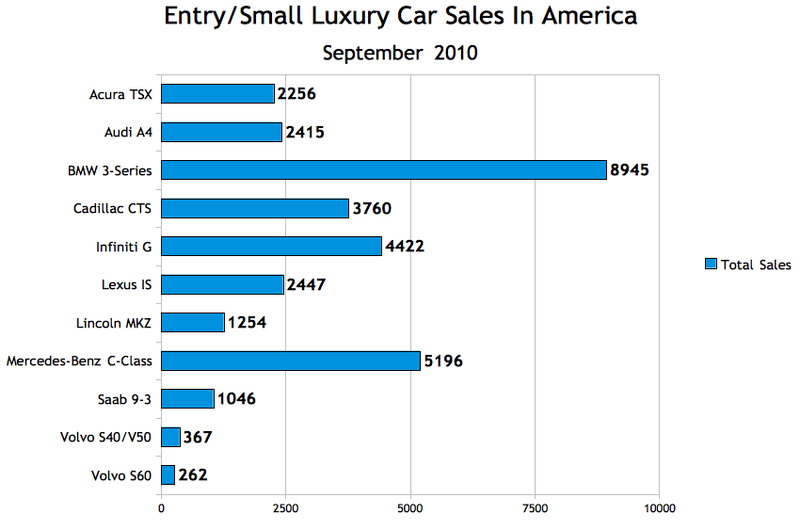 Well, A4 sales fell 18% in September 2010 and stand at “just” 25,929 through the first nine months of 2010. 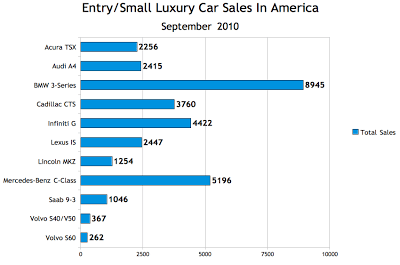 BMW 3-Series sales were up 37.1% in September 2010. Through the end of last month, BMW had 73,395 3-Series under its belt. Why do Brits love the 1-Series, then? Well, in all honesty, the 3-Series was one of the UK’s best-selling cars in August, paving the way for the 1-Series to be #10 in September. But UK new car buyers are also offered two other 1-Series bodystyles. Engines galore. Different trim lines. Diesels. Besides, British buyers are even more badge-snobbish than Americans. Thus, if an extra £1000 nets you a basic 1-Series instead of an up-trim Focus, they’d choose the BMW every time. 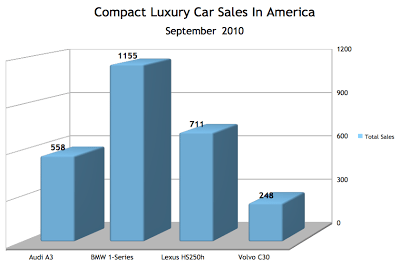 Popular though the 3-Series may be in the United States, its sales don’t compare well with the best-selling mainstream compacts in America.